During the 1984 NBA Draft a player would be selected by a team that needed a super star to lead them into the future. The NBA was also about to gain a future legend that is still talked three decades later. This player was none other than the University of North Carolina guard Michael Jordan. 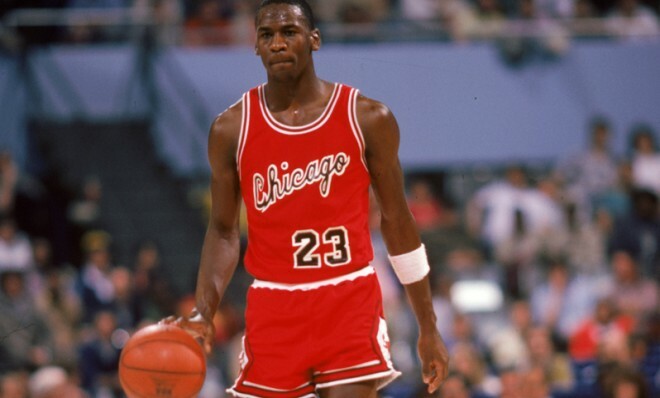 Jordan was selected by the Chicago Bulls with the 3rd overall pick that year. His rookie season was a peak into what the future of basketball and American sports was about to become. Michael Jordan made his NBA debut on October 26, 1984. His Chicago Bulls were hosting the Washington Bullets. Much was expected from this rookie from North Carolina. Jordan had a solid game putting up 16 points, 7 assists, and went 6 for 7 at the free throw line. The Bulls beat the Bullets by a score of 109-93. As the season went on Jordan popularity would rise just like he would glide to the basket for one of his highlight reel dunks. 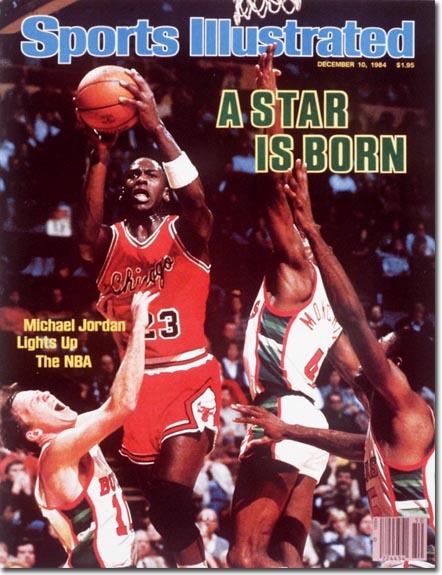 Before the end of 1984 Michael Jordan graced the cover of the iconic Sports Illustrated Magazine with the quote “A Star Is Born”. In early 1985 before the NBA All-Star Game the fans voted Jordan into the mid season classic featuring the leagues best players. Jordan faced some jealousy from his fellow players for the success he had achieved just a few months into his career. The most notable was Detroit Pistons star Isiah Thomas who has been the previous years All Star Game MVP. It has been said over the years that Thomas was trying to get the players on the Eastern Division Team to keep the ball out of Jordan’s hands and make him look like less of a star in the game. Jordan was was able to contribute in the game but hardly was the star of the game. Jordan scored only 7 points in his All Star debut. The Chicago Bulls ended the regular season with a record of 38-44 and received a playoff birth. The Bulls lost their first round playoff series to the Milwaukee Bucks 3-1. Michael Jordan played all 82 games for the Bulls in his debut season and put up outstanding numbers for a rookie. Jordan scored 2,313 points, 481 assists and had a free throw percentage of .845. He was also named the NBA Rookie of the year. Jordan would not win his first NBA Title until the 1990-91 season. He retired from the game for the third and final time following the 2002-2003 NBA Season. Jordan scored 32,292 points, won 6 NBA Titles and 6 NBA Finals MVP Awards during his career among many of his other accomplishments. He is considered by many to be the most popular American athelete since Babe Ruth and the greatest basketball player ever. This entry was posted in Historic Rookies, NBA, sports, Sports History and tagged 3rd, all star game, best basketball, bucks, champion, chicago bulls, debut, game, legend, Michael jordin, mvp scoring, NBA, nba finals, of the year, overall, pick, player, playoffs, points, rookie, season, title, was, what year, when, who. Bookmark the permalink.